More about Lokomat® features, advantages, and success stories you can learn on Hocoma.com website. 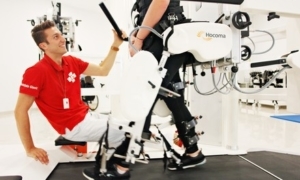 We would like to share our clinical experience with a paraplegia patient with incomplete T7 paraplegia. The improvement we observed over the therapy progression encouraged us to share our experience to support other clinicians working with the same patient group on the Lokomat. 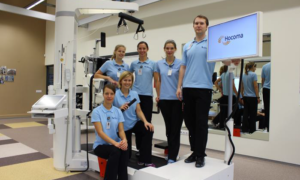 In our clinic, Lokomat training is integrated in the rehabilitation plan of our patients and combined with the conventional therapy plan. In this case report, we describe how the Lokomat was used in our center to support the recovery of a severely affected stroke patient. We illustrate how the Lokomat can become part of the standardized therapy to improve walking ability and functional independence. Check out the pre-training content to understand the working principles of the Lokomat. For more in-depth insights, choose post-training, this targets our experienced users to provide or refresh in-depth knowledge. You will receive more detailed information on all components and the application of the Lokomat® within the user script, which you may download below. Are you ready for your upcoming Lokomat® training?